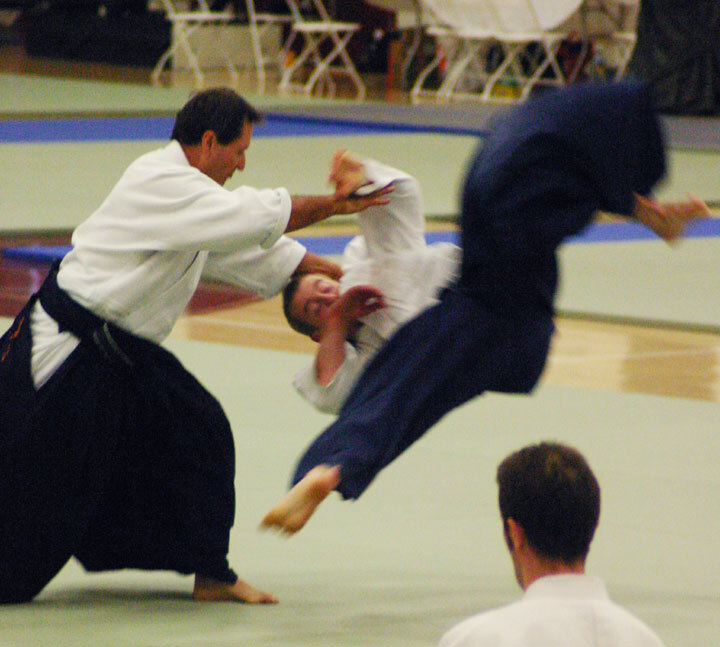 The story of Christian Tissier’s aikido odyssey is one of storybook proportions. He began his aikido career at the tender age of 11, made his way to Japan virtually penniless at the age of 18. On short order, he proceeded to establish himself as a standout member of the small foreign community practicing aikido at the Aikikai Hombu Dojo in Tokyo in the early 1970s. Christian Tissier achieved this rare accomplishment by demonstrating a steely determination in every aspect of his life in Japan. He attended multiple aikido classes daily studying will all of the senior Aikikai instructors. He became the favored uke for several of the leading Aikikai masters including Second Doshu Kisshomaru Ueshiba and Seigo Yamaguchi Sensei. Despite his heavy schedule, Tissier also took it upon himself to formally study Japanese to the point of becoming fluent in the language, and even picked up English in the process! After seven long years of study at the Aikido headquarters in Tokyo, he returned to his native France where he soon rose to a leadership position within the French aikido establishment, a veritable political quagmire. He built up a following of thousands of French and European students operating from his Cercel Tissier school in Paris. This remarkable achievement was possible due to his superior technical skills, his strong ties with Japan, his business acumen, and engaging personality. Despite Christian Tissier’s preeminent position among European aikido instructors, the long dark specter of racial discrimination on the part of the Japanese establishment continued to cast its shadow. 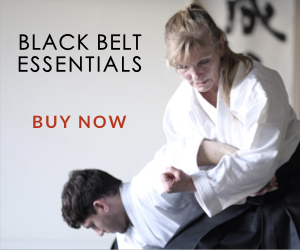 This persisted even despite the international spread of aikido and the relentless progress of a legion of foreign instructors who were achieving master status, in some cases clearly surpassing their Japanese counterparts. Yet still the Japanese stranglehold on key political and technical positions continued. A blatant example of this racial discrimination could be seen in the publication of an annual booklet distributed by the Aikikai in which the official representatives abroad of the headquarters were listed. 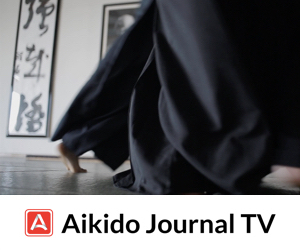 Year after year, only Japanese names appeared as the official representatives of the Aikikai. The unspoken message clearly communicated to long-time foreign aikidoka was that they were regarded by the Japanese establishment as inferior to their Japanese counterparts and their accomplishments of lesser importance. In the 1980s, the Japanese introduced a new “Shihan” status in an attempt to deal with the ascendance of non-Japanese teachers and guard their privileged leadership position. Not unsurprisingly and to the disappointment of long-time foreign practitioners, all names listed as shihan were Japanese. This would prove to be a major tactical error. Despite his respected status in European aikido, Christian Tissier wisely avoided taking a public stand in the discussion surrounding this awkward issue. Over time the pressure brought to bear on the Aikikai became overwhelming, and the Aikikai establishment was forced to capitulate. 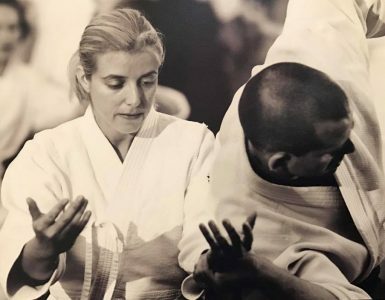 Shortly after receiving his 7th dan ranking from the Aikikai in 1998 — no mean accomplishment in itself — Christian Tissier became the first official non-Japanese to be awarded Shihan status. 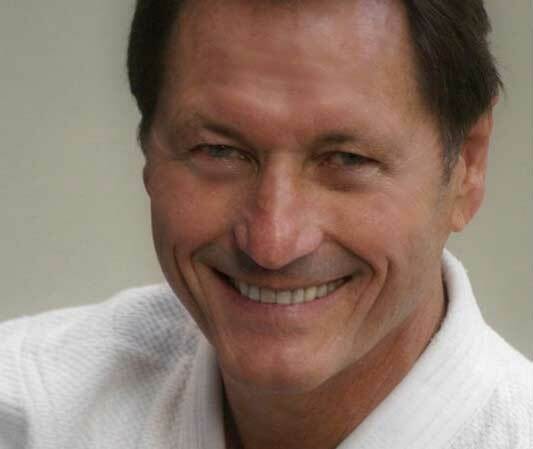 Christian Tissier’s many years of devoted practice and teaching aikido, his closely maintained ties with the Aikikai, his familiarity with the Japanese-language and culture, and his long-string of outstanding achievements in promoting aikido across Europe and beyond placed him in a unique position to be so honored. 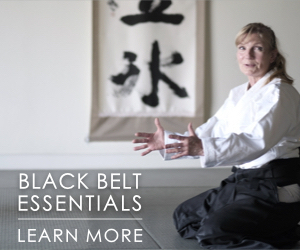 Not surprisingly, this opened the floodgates and in quick succession a steady stream of shihan certifications were awarded to other non-Japanese teachings highly deserving of this recognition. Today, Christian Tissier occupies a preeminent position among the world’s aikido leadership despite being a non-Japanese. 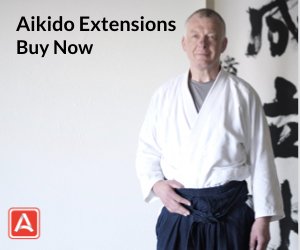 He conducts seminars at the International Aikido Federation meetings held every four years alongside the leading Japanese Shihan. He has received countless awards including being invited to the Palais de l’Elysée in the presence of the Prime Minister of Japan, Shinzo Abe, and François Hollande, President of the French Republic in 2014. Actually, Christian Tissier was the first Aikikai 8th dan who was not ethnically Japanese. 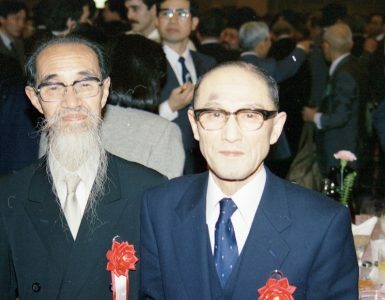 The first two non-Japanese 8th dan were Robert Kubo (now deceased) and Donald Moriyama, both from Hawaii, both born and raised in the United States of America. Thanks for the additional information, Chris. 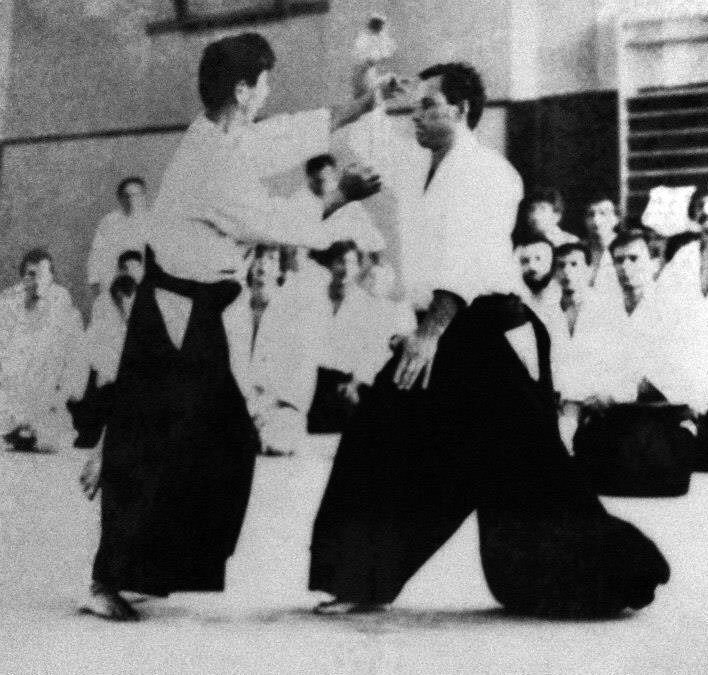 The discussion about Christian Tissier being or not the first non-Japanese to achieve the grade of 8th dan of the Aikikai, Tokyo, can be simplified by saying that for sure he is the first European in Aikido history to be awarded such a high grade from the Aikido World Headquarters.